Whether you just purchased a piece of land that you cannot wait to build your customized home on or you are ready to invest in upgrades to your current home, we’ve got you covered. We are also experts in Interior Design. As a savvy business owner, you recognize the importance of providing an engaging and creative environment that puts the wellbeing of your employees front and center. 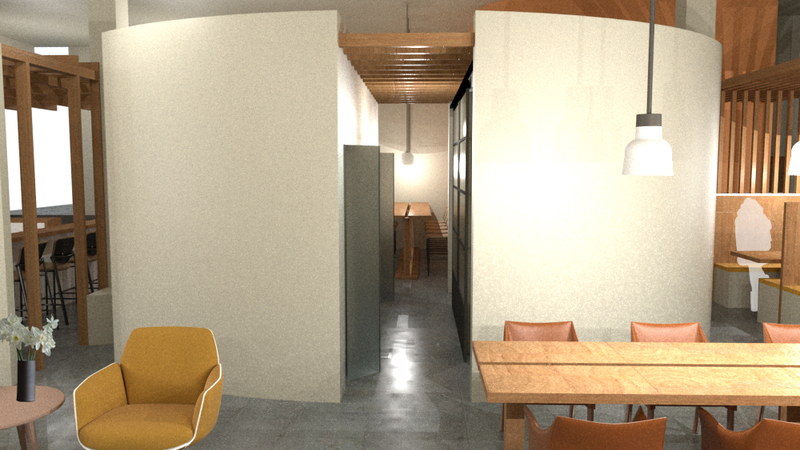 We provide space planning and interior design for creative workspaces. 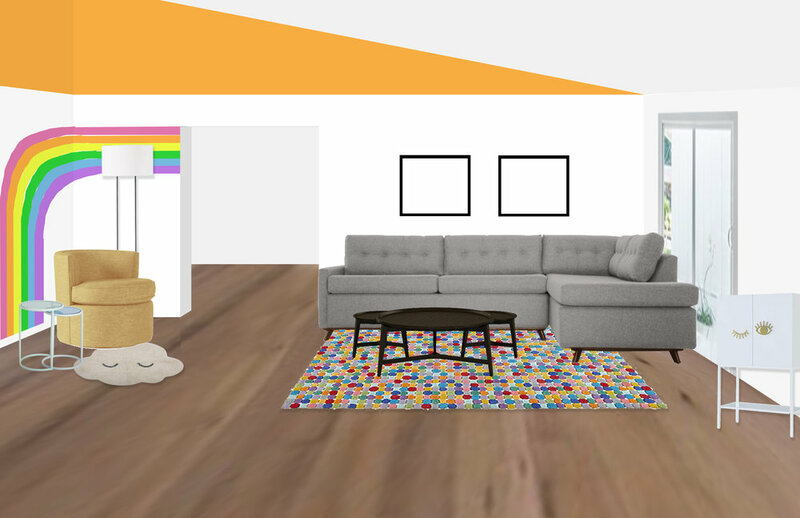 These are the spaces where you go to have fun and spend your time with friends and family. Retail stores, restaurants, hotels, and museums. We have an array of experience in them all. We are also experts in Exhibition Design. This homeowner in Redondo Beach commissioned Taryn to re-imagine his outdated bathrooms as he overhauled the interior of his entire home. 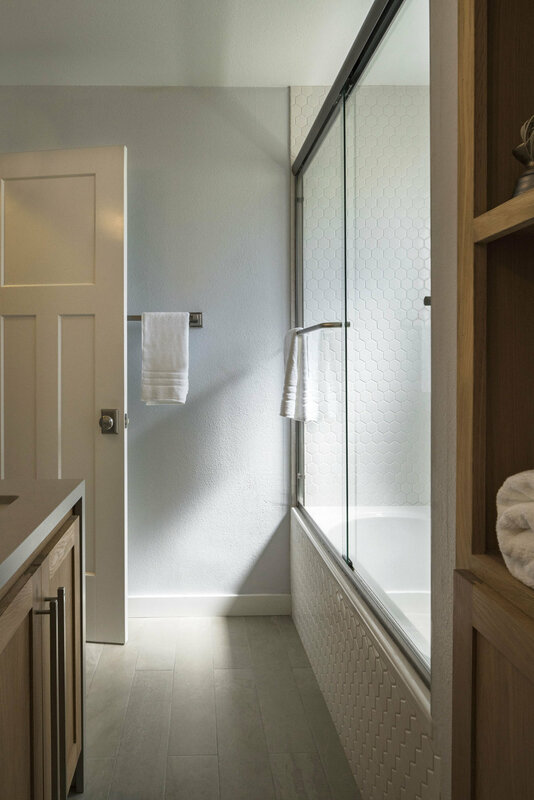 We worked hard to tie them all in while maintaining the notion that the master bathroom should be luxurious, the guest bathroom downstairs bright and functional, and the powder room, a simple and pretty extension of the main living and dining areas. 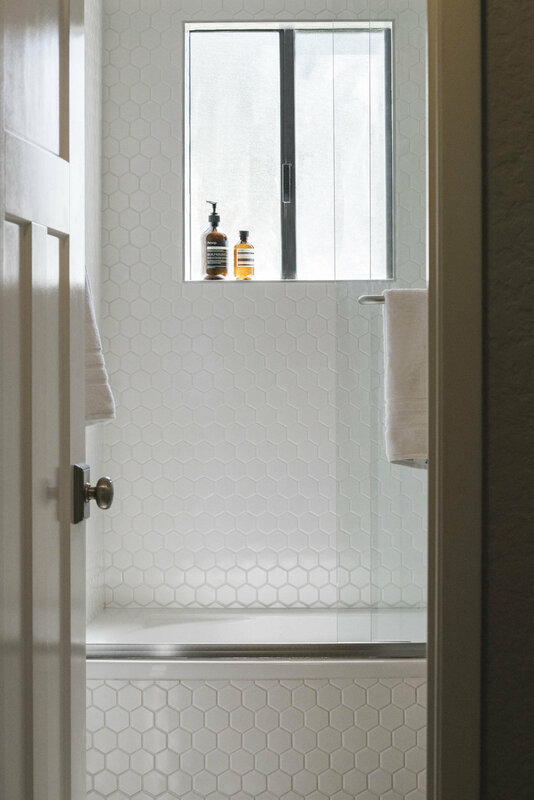 Our style immediately clicked with that of the homeowner and this project remains a favorite. 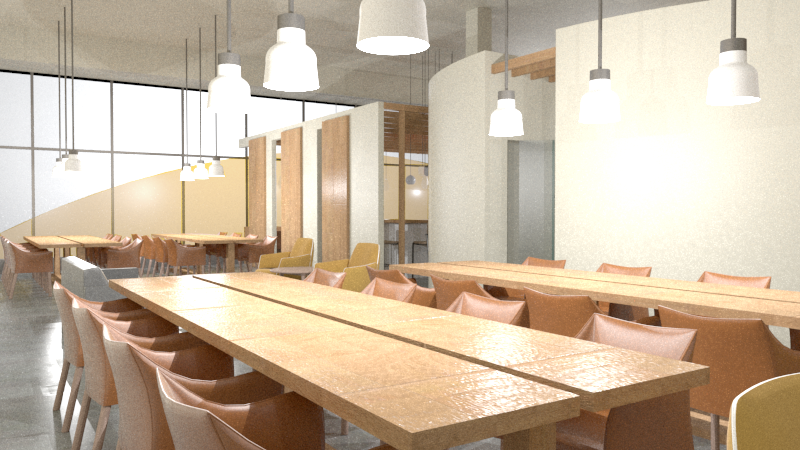 This concept design for a women-led workspace came about in collaboration with Chelsea, the founder of Bossladies. She was seeking a space that would allow freelancers and entrepreneurs to work comfortably, collaborate, and grab a coffee. The space also opens up as a wine bar in the evening. We developed the program to include a nursery for professional new mothers to be able to have the childcare help they desperately need. The program also includes a massage room, showers, and a creative library. Bone Collective Studio was commissioned to assist in the restoration work for the old servants quarters of the Levin House, originally designed and remodeled by Rudolph “Mike” Schindler in 1925. Schindler was a mentee of Frank Lloyd Wright and one of the major players of Modernism in Los Angeles in the 20’s-50’s. You can read more about him here if you are unfamiliar with his legacy. 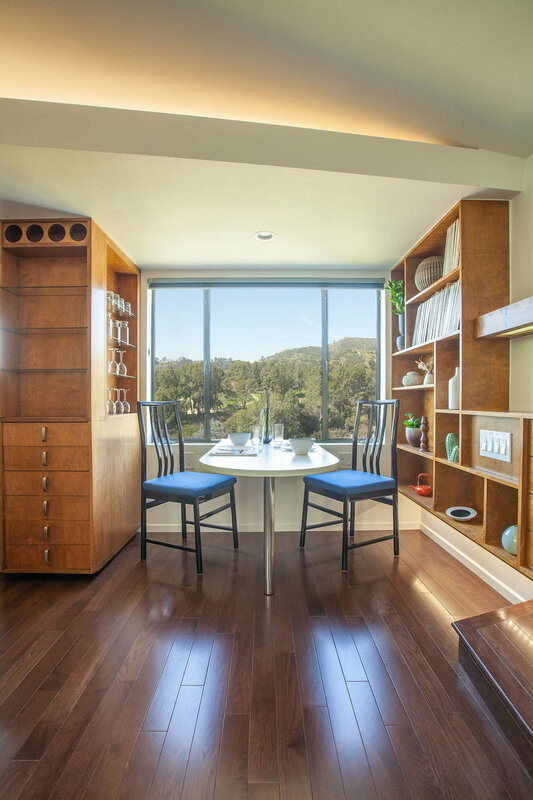 While the apartment itself was in need of a facelift, it aesthetically remained a space in the home that felt the most Schindler-esque, so the homeowners didn't want to change any of the existing millwork. 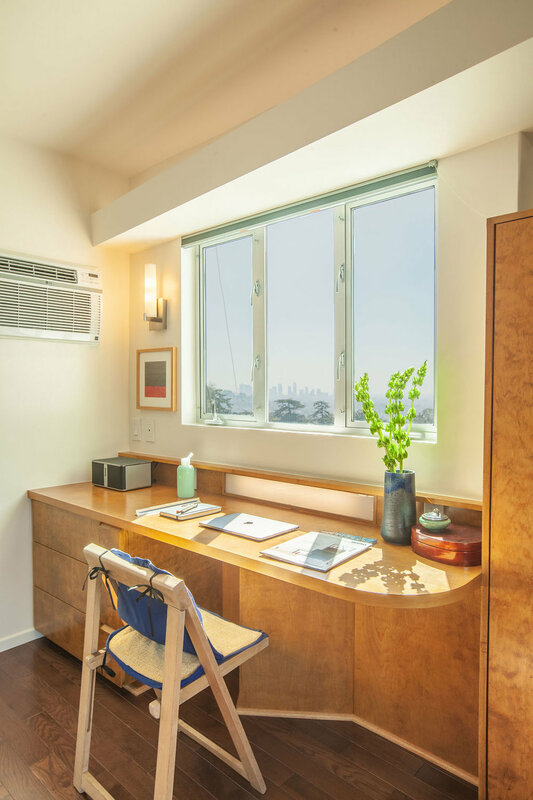 The only minor design changes were made to ensure the desk was more streamlined and better functioning. Thus an expert millworker and finisher were brought on to rebuild and restore all the shelving as well as the built-in bed and drawers to their former glory. The old peeling and cracking plaster was removed and the walls were all smoothed out, bringing more attention to intersecting planes that act as shelf lights above, so ubiquitous to the Schindler aesthetic. The shag carpet was also nixed and wood floors were installed, thus bringing this 1920's maid's quarters into 2019 as a proper guest apartment. The architecture and millwork was expertly brought back to its original Schindler aesthetic thanks to a great contractor and mill working team. The major design update in the apartment was the bathroom. It began and ended as a tiny space, even by European standards. 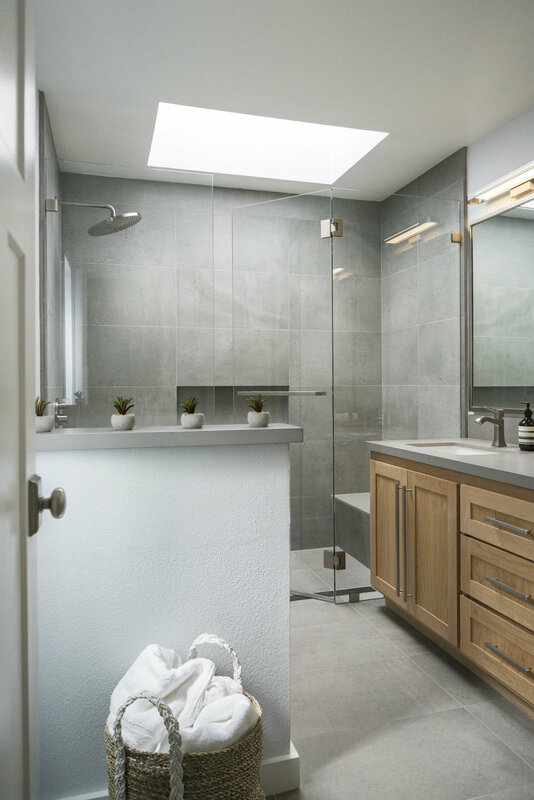 We decided to play with the green tones much enjoyed by the homeowners and seen throughout the rest of the home, while adding a large mirror, the smallest sink we could get in the United States, and trading up from a tub/shower combo to a nice fresh modern shower. This part of the project was featured on Dwell.com. You can see the original article here. 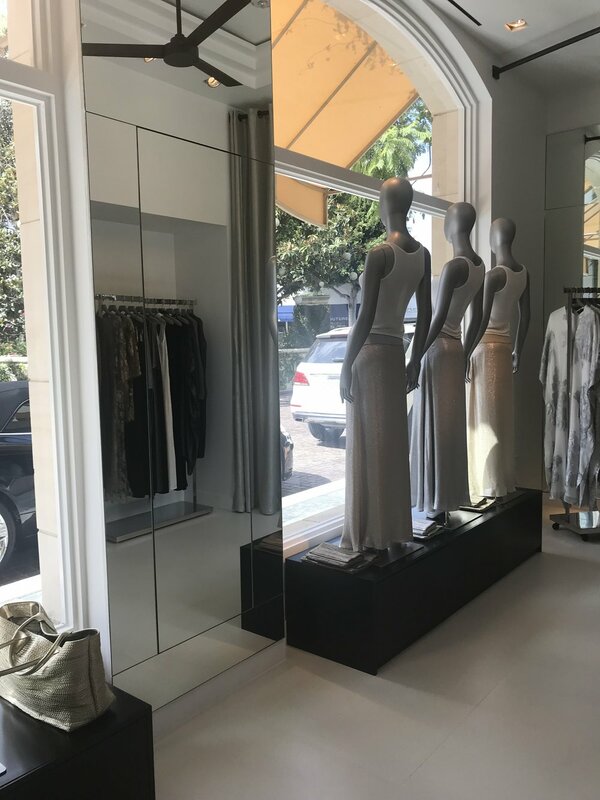 Taryn worked with the client and fabricator to design MFVD’s first US location inside of the Peninsula Hotel in Beverly Hills. Two small footprints required a creative plan to be able to actively engage both spaces from the walkable storefront on the exterior, the interior storefront which faces the hotel conference rooms, and the middle passage way which connects all three. A large sliding closet was designed to hold the point of sale away from the eye when not in use. The main priority was the display as much product as possible, this was done in both the windows and through custom designed shelving and hanging areas on either side. Here at Bone Collective Studio, we are always working on something new and exciting. Some of these projects are complete and awaiting publication while others are years in the making. 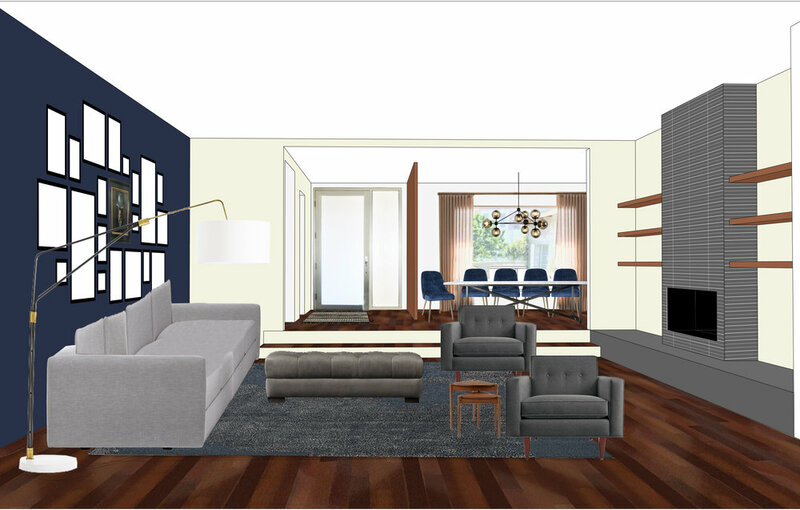 Architecture and Interior Design projects take time, but when you hire Taryn and her team, you can be sure that they will be on top of your project from day one through the end.